We love hearing and seeing Peaceful Doves in our garden here in Murray Bridge, South Australia. For many years this only happened occasionally, every month or so and only for a brief visit. That has changed in the last month and we see and hear them daily. Although they are widespread throughout much of the agricultural lands of our state they are not present in large numbers anywhere. 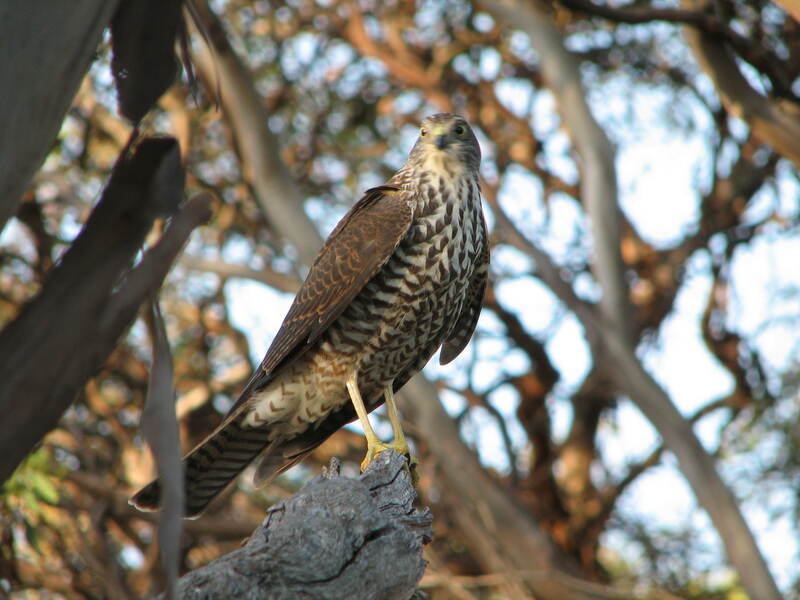 When two decided to take up residence in our garden and its adjacent patch of mallee scrub we were delighted. They often called several times a day and sometimes even came close to where we often have a cuppa or a meal on our back veranda. Several weeks ago my wife noticed these two birds mating, so I assumed that they would be soon making a nest in our scrub. So far I have been unable to locate a nest, and knowing how skimpy the nests of pigeons and doves can be I am not surprised. On one occasion some years ago I stood underneath the nest of a Bronzewing Pigeon and counted how many eggs were in it. Just a few thin sticks thrown together almost randomly seems to be adequate for this group of birds. How the eggs stay in the nest is beyond me – and how the young stay in the nest without destroying their home is amazing. The Peaceful Dove pair in our garden are hanging around so I am assuming they have made a nest and are sitting on eggs. One of the birds stays quite close to the house and continually calls throughout the day. Now – I love hearing the soft call of this species – don’t get me wrong. But when it goes on calling hour after hour throughout the day it gets a bit much. It is then that this beautiful little dove becomes far from peaceful. This morning I did a small load of washing. I actually enjoy doing this because it gets me outside and away from the computer for a while. It also has the benefit of getting me outside where the birds are, and with my eyes cast skywards I often see birds that I might have missed – like the time I saw a Peregrine Falcon overhead in the last moments of a very fast stoop. Awesome. It also has the benefit of being able to hear more birds and I enjoy listening to all of their calls and trying to identify them without looking. This is a good way of honing one’s identifiction skills. After over 30 years of living on our little patch of mallee scrub here in Murray Bridge, I have become accustomed to our bird life and immediately notice something different calling. That’s what happened this morning. I had just finished hanging out the washing when I heard a bird calling loudly. 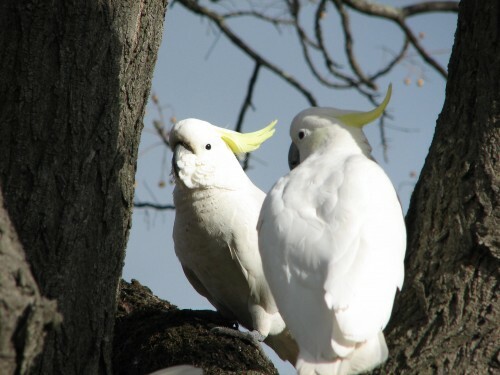 Two Sulphur-crested Cockatoos had flown in and landed in our of our pine trees. I had enough time to grab the binoculars and see that they were testing out some of the cones on one of the trees. Obviously the cones where not to their taste or not ready for eating because they flew off again a minute later. I didn’t get a photo so the one above was taken some years ago in Adelaide. This was a significant sighting for the birds in our garden. I think my memory is correct – this is only the second time in over 30 years I have recorded this species in our garden. 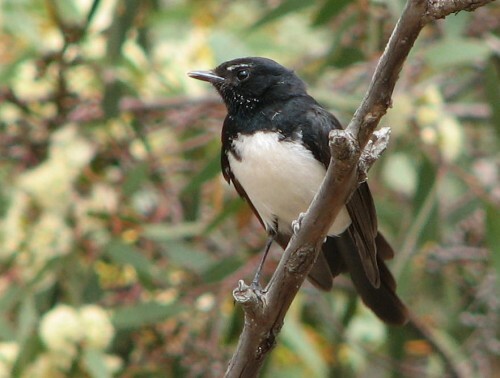 They are not usually seen here in Murray Bridge (80km east of Adelaide) though they are very common in the Adelaide region and throughout the Adelaide Hills zone. This is despite there being plenty of suitable feeding spots and nesting hollows, especially along the River Murray. I think I heard one screeching as it flew overhead a few days ago, but I was in the foggy early morning sleep zone. I initially thought it was a Little Corella, but now I am not so sure. Perhaps these were some scouts looking for new places to live. This post comes with an apology to my many non-Australian readers. The information I am sharing today is for Australian readers only. Sorry about that. Normal transmissions will resume shortly. Over the next week or two people around Australia are being encouraged to go out into their backyards and watch the birds. That’s a great idea. The Aussie Backyard Bird Count is more than just looking at our birds, however. You are encouraged to not only look at the birds you see, you are also asked to write down a list of the species you see and how many of each species. Then you are asked to submit these sightings to the Aussie Backyard Bird Count (see link below). All it takes is twenty minutes. It doesn’t have to be in your garden or backyard. It could the park across the road, the oval down the street, in the school playground or even on a picnic in your local patch. It doesn’t matter if you are having trouble identifying a bird – the site even has an app for that. Great – use their bird identifier. If that doesn’t help, you can leave that bird out. 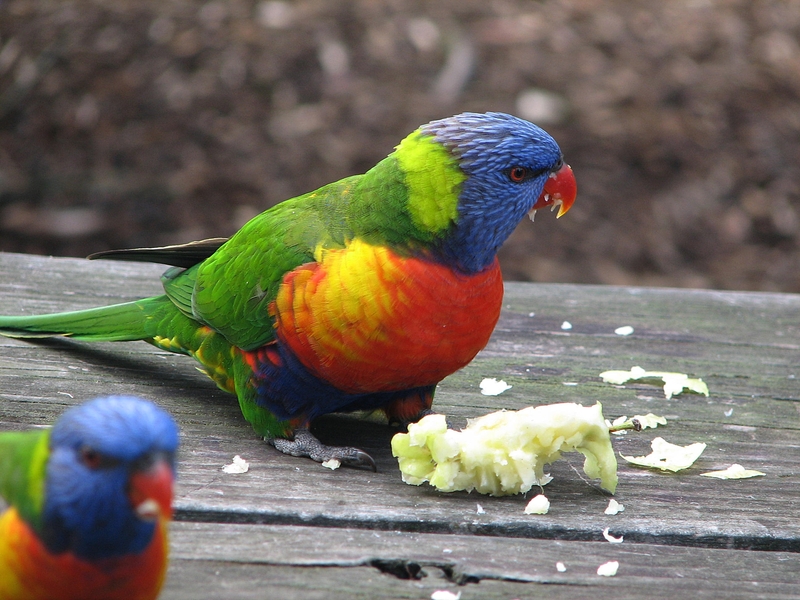 The 2015 Aussie Backyard Bird count runs from October 19th to the 25th, but you can start straight away. People are already submitting their sightings. 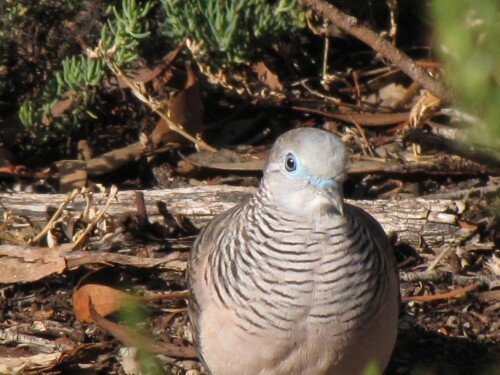 This Australia-wide survey is an annual event which gives our conservationists a great opportunity to get a snapshot of the bird health of our nation. By participating you will contribute valuable data to our already good knowledge of our birds. Update 27th October: the survey is now over with over 1.08 million bird sightings. Last night we had a wonderful visitor to our garden. Just before we turned on the television we heard the unmistakeable call of a Southern Boobook Owl in our garden. I immediately grabbed a powerful torch and head outside. Unfortunately the bird not only stopped calling, it must have flown off. I searched a few of the trees where I thought that the sound had been coming from but to no avail. Never mind, it was good to hear it and know that this species is still around. It was a special visitor because we are so infrequently aware of this species of owl in our garden or in our little patch of mallee scrub about 80km east of Adelaide, South Australia. We actually hear it only a few times a year – at best. I guess we should switch off the television more often. Or perhaps I should head off with a torch and walk the “estate” more often – all five acres of it! Because the bird we heard last night did not hang around very long, there was no opportunity to grab the camera for a photo. The photo above – possibly the same bird – was taken in one of our trees a year or so ago. On that occasion the bird obligingly posed for two photos. Update October 13th: we heard it again this evening. This time it was closer to the house and we had a good view of it – twice in a few days is special. 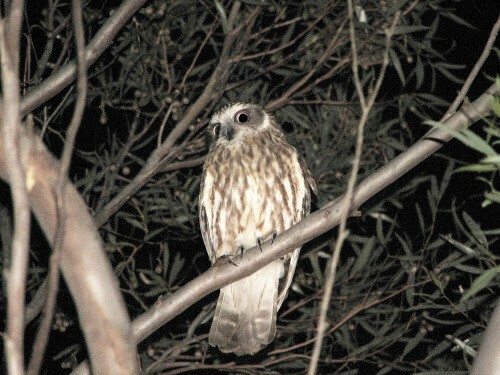 Below is a list of nocturnal birds I have recorded on our property. Click on each to go to articles and photos of them. You are currently browsing the Trevor's Birding blog archives for October, 2015.